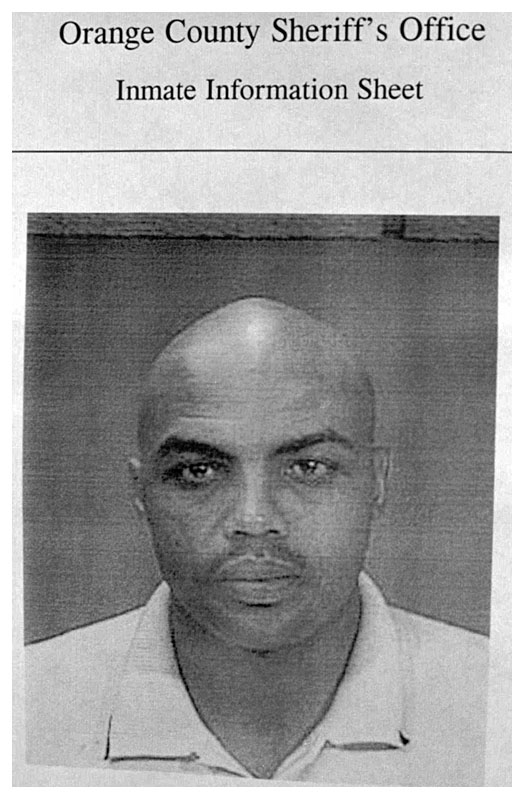 Charles Barkley was arrested by Florida police in October 1997 and charged with aggravated battery and resisting arrest for hurling an Orlando bar patron through a plate-glass window. The NBA Hall of Famer, who was playing for the Houston Rockets at the time, spent a few hours in an Orange County Sheriff's Office lockup, where he posed for the above mug shot. Barkley, 34 at the time of the incident, pleaded no contest to a misdemeanor charge of resisting arrest and was sentenced to community service and ordered to pay $320 in fines and court costs.